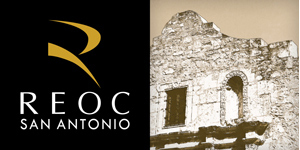 Cynthia joined REOC San Antonio in 2016. She specializes in retail brokerage, including tenant rep, landlord rep and investment sales. Cynthia has been a full-time commercial broker in the San Antonio area for over 30 years. In 1989, she was given the Chairman's Council Award honoring those members of the company who reach $1,000,000 in commissions earned. She has been recognized in the Top Five Producers over 30 times. Ms. Ellison has completed more than 500 transactions, including investment sales and retail leases. She was one of 14 of the 8,000 CCIM designees accepted nationally into the CCIM Institute Leadership Development Academy for 2006. In 2007, she was appointed as a member of the CCIM National Board, and she served on the Human Resources Committee and the Member Services Committee as well.